An authority in Shi'i studies, with special reference to its Ismaili tradition, Dr. Daftary has published and lectured widely in these fields of Islamic studies. In 2011 a Festschrift entitled Fortresses of the Intellect was produced to honour Dr. Daftary by a number of his colleagues and peers. 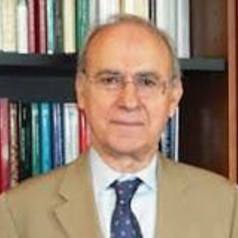 As well as serving on various editorial boards, Dr. Daftary is a consulting editor of the Encyclopaedia Iranica (for Ismailism), co-editor (with W. Madelung) of the Encyclopaedia Islamica, and general editor of the “Ismaili Heritage Series”, the “Ismaili Texts and Translations Series” and the “Shi'i Heritage Series”. He has written more than 200 articles and encyclopedia entries and several acclaimed books, including The Ismailis: Their History and Doctrines (1990; 2nd ed., 2007), The Assassin Legends (1994), A Short History of the Ismailis (1998), Ismaili Literature (2004), Ismailis in Medieval Muslim Societies (2005), (with Z. Hirji) The Ismailis: An Illustrated History (2008), Historical Dictionary of the Ismailis (2012) and A History of Shi'i Islam (2013). His edited volumes include Mediaeval Ismaili History and Thought (1996), Intellectual Traditions in Islam (2000), Living in Historic Cairo (2010), A Modern History of the Ismailis (2011), (with Gurdofarid Miskinzoda) The Study of Shi'i Islam (2014) and Fifty Years in the East: The Memoirs of Wladimir Ivanow (2015). Dr Daftary’s books have been translated into Arabic, Persian, Turkish, Urdu, Gujarati, Chinese, Indonesian and numerous European languages.